Hooray! Thanksgiving is coming and if you have a limited diet, you will have some amazing and delicious recipes to make! 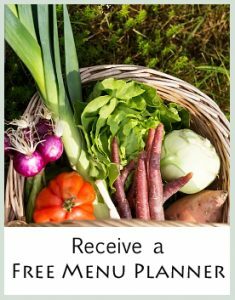 The Thanksgiving Menu Planner is now available and it is specifically for limited diets that are free of foods like gluten, wheat, dairy, corn, sugars, starches, nightshades, and peanuts. If you’re egg-free or nut-free, you’ll also find some great options to create a beautiful allergen-free menu for the holidays! I want to thank my subscribers who gave me some wonderful ideas and recipes! Sarah – traditional green bean casserole – I made a healthy version! As you can see, I went a little overboard on the desserts. But I wanted to make sure there was something for everyone. 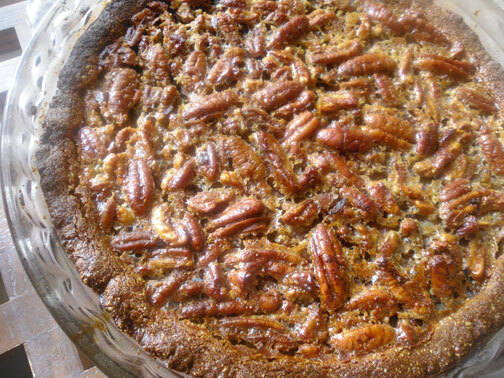 I had never made a pecan pie before and I think it’s now my favorite over pumpkin! The menu planner is only $4.95 and it includes a detailed shopping list. After creating it, I think this is a steal, so get your copy now while this offer lasts! The menu looks great! We have some old standbys that have to be made, but I am definitely incorporating some of these ideas.